The Acute Respiratory Infection Diagnostic Aid (ARIDA) project aims to identify and introduce automated respiratory rate (RR) counting aids for classifying fast breathing pneumonia, for use by frontline health workers in resource-limited community settings and health facilities. 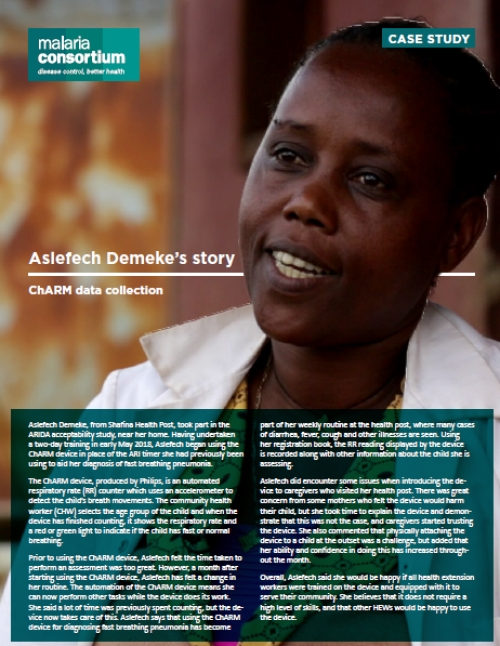 Aslefech Demeke, from Shafina Health Post, took part in the ARIDA acceptability study, near her home. Read her story.